God kept unleashing plagues on Pharaoh. Pharaoh didn’t really, you know, care. 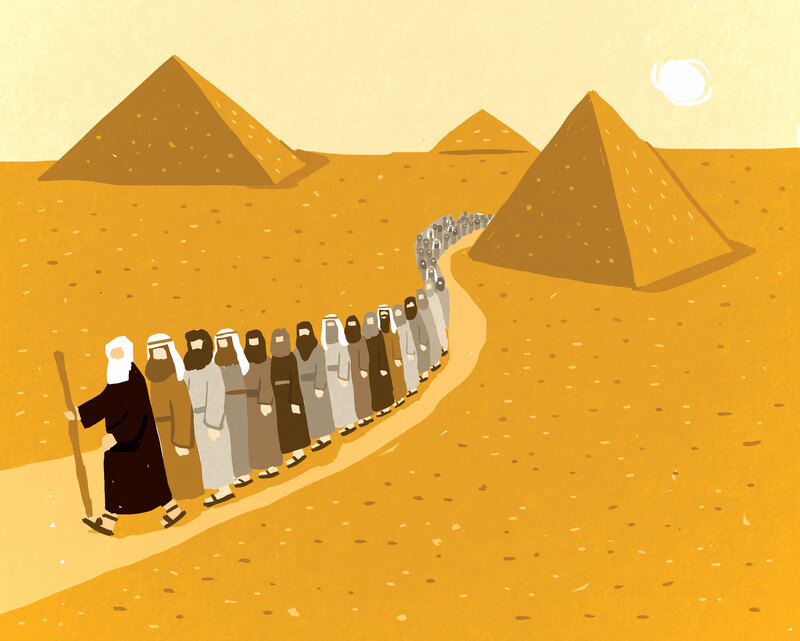 Moses: It’s weird that Pharaoh won’t let us be free even after all these plagues. God: That’s because I keep stopping him. God: Every time he wants to free you, I change his mind. I would’ve mentioned it, but then you probably wouldn’t have gone through this whole thing. God: Stories need conflict, yo. Moses: If you control Pharaoh’s choices, do you control my choices too? Do I have free will? Moses: Oh my god. What’s the point of my life? What’s the point of anything? God: Chill. I’ll free your people. I just have to kill some Egyptian babies first. God: It’s called blood magic. I kill some babies, and your people go free. Moses: Can you maybe free my people without killing babies? God: Can you maybe make an omelette without cracking a few eggs? That’s the deal. Take it or leave it. Moses: I feel like, either way, this decision is going to haunt me forever. God: How’s the free will going? You made that whole speech about it earlier. The next day, as all the Egyptians buried their babies, the Hebrews looted their houses. Moses: So if I don’t have free will, I’m not responsible for what happened to those babies, right? Moses: But I still feel like I have free will. And if I don’t have it, then I can’t choose to stop feeling like I do. God: You’ll have plenty of time to think about it. We’re about to go on a pretty long walk.